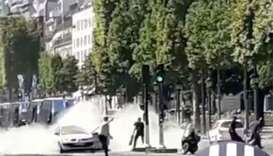 Britain's Geraint Thomas cruised down the Champs-Elysees as Tour de France champion on Sunday in a final stage won by Norway's Alexander Kristoff. 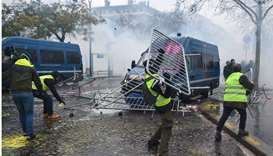 Questions arose on Tuesday over how a known radical Islamist who rammed a car laden with weapons and gas canisters into a police van on Paris's Champs-Elysees was able to hold a firearms licence. 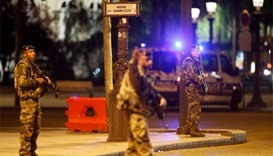 A man has been placed in custody for alleged links to a gunman who killed a policeman on Paris's famed Champs-Elysees just days before the first round of France's presidential election, a judicial source said. 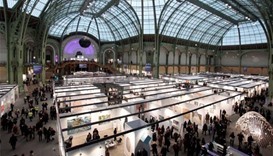 Thieves snatched €200,000 in jewels from an art fair in Paris at the weekend, police said. 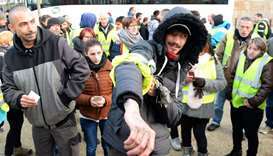 Exhibitors were packing up their stands when one person distracted the seller and another made off with a box of jewels. 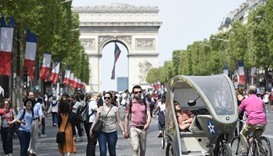 The sight of cars thundering down Paris's most famous boulevard was replaced on Sunday by people strolling, cycling and taking selfies in the sun as the Champs-Elysees went traffic-free.